KINGSEY FALLS, QC, March 25, 2019 /CNW Telbec/ - Cascades, a leader in the recovery and manufacturing of green packaging and tissue products, is proud to unveil its new brand for retail solutions: Cascades IMGN retail solutionsTM. The diverse IMGN portfolio comprises POS, displays, consumer and shelf-ready product packaging, all of which used to improve in-store brand impact. The total offer includes high-resolution colour printing via flexography, lithography and digital. It brings you unparalleled colour intensity and printing precision. "Cascades IMGN is the result of major investments, in both Canada and the United States, to acquire cutting-edge technology — and of the exceptional work done by our teams. Backed by a diversified, integrated range of products, this new brand offers a wealth of solutions for the most challenging needs of customers and distributors who want distinctive brands, personalized consumer experiences and high-quality colour printing," said Mario Plourde, Cascades President and Chief Executive Officer. 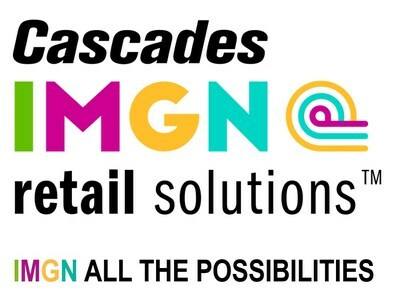 The name IMGN, a contraction of the word Imagine, embodies several qualities of Cascades IMGN retail solutionsTM: its ability to create products that stand apart, the ingenuity of its teams and the infinite possibilities of the solutions it offers customers through a simple, reliable process. "Our packages don't just protect the products they contain, they're also a source of infinite creative possibilities for capturing the consumer's attention. They're custom-designed and manufactured using the highest industry standards in order to attract interest and create the desired impact. 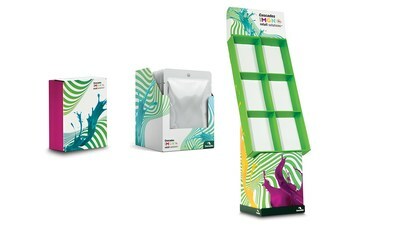 The Cascades IMGN retail solutionsTM team will help you send a powerful message to consumers through innovative, environmentally friendly solutions," said Charles Malo, President and Chief Operating Officer of Cascades Containerboard Packaging. Cascades will be attending the Craft Brewers Conference in Denver, Colorado from April 8 to 11, 2019, where it will present the whole range of products available under its new brand, Cascades IMGN retail solutionsTM. Founded in 1964, Cascades offers sustainable, innovative and value-added packaging, hygiene and recovery solutions. The company employs 11,000 women and men across a network of over 90 facilities in North America and Europe. Driven by its participative management, half a century of experience in recycling, and continuous research and development efforts, Cascades continues to provide innovative products that customers have come to rely on, while contributing to the well-being of people, communities and the entire planet. Cascades' shares trade on the Toronto Stock Exchange under the ticker symbol CAS.